The real deal. Just as I imagined they'd be - build construction and quality is so solid. They feel great, look great and perform great. Simply applied the XMP profile and might try overclocking after a few weeks. Opted to stick with two sticks for single Dual Channel performance; no regrets there. I like it alot.... I haven't reached the 3000mhz mark as of yet, but i believe that will be dependent on motherboard support and not so much the RAM itself.. I havent messed around with it too much yet, but with XMP enabled, i have set it at 2666mhz and it is flawless. Corsair is always a good choice. I was looking into G.Skillz RAM to pair with my Ryzen, but the Asus mobo didn't have any above 16GB that were verified and/or rated well. I fell back on Corsair (a guaranteed brand) and couldn't be happier! Be careful to check the throttle on your Motherboard, as I had to do some tinkering with voltages to get above the stock 2133. Currently, 2666 is running smooth. I will look into getting closer to that bench of 3000 with more troubleshooting in the future. 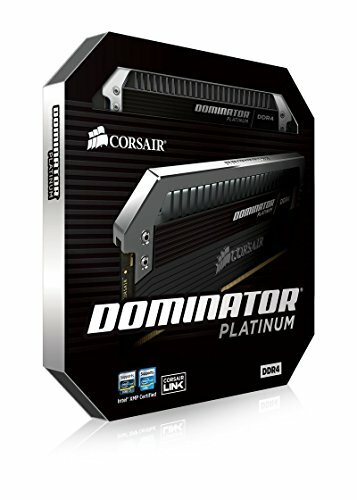 If you're looking for high capacity fast RAM, this is a very nice option. I can't imagine there's a ton of people that NEED or really care that much about the speed and CAS latency, but, for those of us who do - I wasn't disappointed. It also has very faint white LEDs under the heat spreaders. Just enough to accent - not enough to draw attention. At the end of the day, its RAM. But there's ram and then there's RAM, am I right? Fantastic build quality, great performance and look cool to boot. Although the aesthetics have no baring on performance and in this build, will most likely be never seen, for the photos included = badass, aha. Cheapest 2x16GB RAMs on Amazon I could find with a one-day shipping. Have a bit of extra fanciness on them.